4 Bedroom End of Terrace House For Sale in Dunstable for Asking Price £370,000. 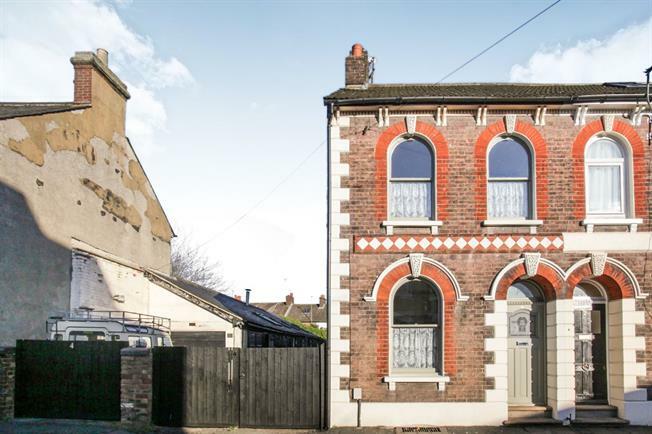 Taylors Estate Agents are delighted to offer you the chance to acquire this four bedroom semi detached property situated in the heart of Dunstable Town Centre with approved planning permission for the barns adjacent. The ground floor accommodation of the main property consists of an entrance hall, lounge, dining room, kitchen with open planned conservatory space and a utility room/ WC on the ground floor. From the dining room a stair case to the basement furthers the accommodation by offering a double bedroom and office. The first floor boasts three bedrooms and a shower room. The property also offers barns in the rear garden which have approved planning permission to create a two bedroom single storey conversion with additional parking.